Brett Bennett was an SSRC-International Dissertation Research Fellow in 2010. After graduating this past December with his PhD in history from the University of Texas at Austin, he took up his current positions as a permanent lecturer in modern history and an Australian Research Council Postdoctoral Fellow from 2011-2014 at the University of Western Sydney. His dissertation and current research explores how state scientific programs in Australia, South Africa, and India encouraged the introduction of exotic species of trees into each region, created novel ecosystems from the mixing of exotic and native plants, and inspired many of the technical methods used globally to select, breed, and grow exotic trees in plantations today. Whereas in Australia gangly gum trees from the genus Eucalyptus and yellow-flowered wattles from the genus Acacia are celebrated national emblems, in South Africa they are widely despised. Many South Africans believe that species of Acacia, Eucalyptus, and Hakea from Australia constitute one of the greatest threats to the existence of many of the country’s unique native plants and use precious water needed for rural communities, healthy rivers, and sustainable economic growth. These trees can be found growing in plantations and as naturalized exotics in almost every region of South Africa. Environmental groups and government agencies predict a growing crisis for much of South Africa where “invasive” Australian trees continue to propagate to the detriment of local plants and communities. Together with global climate change this issue will supposedly become dire, as climatic models predict that water will become scarcer and rising temperatures will threaten native plants. My dissertation and a series of forthcoming articles analyze the history of Australian trees in South Africa. I show how present-day debates have been ongoing for the past century. When examined historically, current criticisms of Australian trees are a complicated mix of white nationalism, African nationalism, and environmentalism. Many of the scientific studies and concepts used to judge the impact of Australian trees remain mired in historical debates over expertise arising out of conflicts in the 1930s rooted in the disciplinary differences of ecologists and foresters who pursue different types of scientific programs. Ultimately, the belief that native plants are “good” and exotic plants are “bad” has troubling and conflicted political and scientific precedents that should make us wary of rigidly using these categories to determine environmental management practices. Southern Africa is on the whole a very dry, forestless environment dominated by grassland, savannah, and desert. Less than 0.5% of its landmass is covered by indigenous closed canopy forest, most of it scattered across the countryside in thousands of small patches. Except for a few areas of higher rainfall, mostly along the coast, aridity dominates the climate. Native trees are generally slow growing and will only grow in sites receiving 700mm per year average rainfall. Australian trees did not arrive in southern Africa until the late eighteenth century when the British began to settle parts of the Australian continent. The British occupation of the Cape Colony in 1806 encouraged an extensive series of exchanges of people and plants between southern Africa and Australia. Australian trees gained worldwide popularity in the 1850s-1870s when botanists claimed that species of Eucalyptus could drain marshes and thus help to eliminate malaria, had strong wood, and grew quickly in arid, warm areas where other trees would not. Settlers and colonial governments in southern Africa soon began planting Australian trees for a variety of economic, aesthetic, and environmental purposes. Many settlers planted Australian trees because they believed that planting trees encouraged rainfall and helped to conserve water. The vigorous reproduction of many species of Acacia led some British scientists to tout the evolutionary “superiority” of Australian trees over native plants. But despite the initial hype surrounding Australian trees, white settlers had a hard time successfully growing them because they knew little about their biological characteristics or the climate of southern Africa. In the 1880s-1900s, state foresters working for the Cape Colony’s Forestry Department began pursuing an aggressive and innovative program to climatically compare South Africa and Australia in order to select and then test the most suitable species. As a result of these studies, foresters learned what species grew best in the different climates of the country. South African foresters became renowned around the world in the twentieth century for their knowledge of how to grow Australian trees in plantations. Ironically, at the point when foresters finally figured out how to grow Australian trees, an increasing number of whites began to criticize the environmental effects of these same trees. Farmers who planted seeds of Acacia and Eucalyptus noted that the resulting trees did not help to conserve water, as foresters suggested they would, but seemed to often be associated with the increased drying out of streams. Many believed that instead of increasing rain, less rain seemed to fall. During the early twentieth century, South Africa generally seemed to be drying out and some feared that the Karoo, a large inland semi-desert, was expanding. Many farmers and agriculturalists saw Australian trees as one of the causes of this trend. In the 1890s, many whites began to celebrate the uniqueness of southern Africa’s, especially the Cape’s, flora. After the end of the Boer War (1899-1902), nationalists used iconic plants and animals to forge a common pan-white South African identity among British and Afrikaner settlers. After the Union of South Africa in 1910, white tourism to “unique” regions, such as the Cape, the Kruger National Park and the old-growth forests near Knysna, helped to ensure a strong sense of national pride in South Africa’s nature. Conservation laws were passed to protect indigenous wildflowers and game. Throughout twentieth-century South African history, the state played an important role in promoting a white national culture of South Africa nature that indirectly (and sometimes directly) influenced criticisms against exotics. "There is no doubt that a popular feeling is arising in South Africa that afforestation is causing the drying up of springs and water sources. Although this has not been proved it can be said that a sufficient case has been made out for thorough research." The government, through its forestry research unit, established hydrological research stations as a result of the 1935 Conference. This marked the beginning of research into the effects of Australian trees that continues to this day. 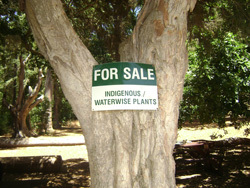 Despite growing scientific criticisms of exotic trees, the number of Australian trees in South Africa continued to grow throughout the twentieth century. To promote economic growth and self-sufficiency, the National Party government, elected to power in 1948, encouraged extensive tree-planting, sometime even pursuing unpopular interventionist forestry policies, such as by planting exotic trees on lands reserved for Africans. The size of Acacia plantations peaked in the 1950s at 350,000 ha and then declined due to lower demand for wattle bark. Eucalyptus plantations expanded rapidly from 161,049 ha in 1961 to 530,000 by 2005. These official statistics fail to capture the millions of ha of Australian trees growing in cities, on farms, and in shelterbelts across fields. The growth of extensive plantations of eucalypts mirrored a corresponding growth of environmentalism. Longstanding celebrations of South Africa’s flora and fauna that started in the 1890s blossomed with the rise of environmentalism during the 1950s and 1960s among white, middle class South Africans. In the 1950s and 1960s, floral enthusiasts in the Cape Province began to eradicate exotic species in botanic gardens and to publish books with titles such as The Green Cancers in South Africa—The Menace of Alien Vegetation (1959), to warn against the dangers of exotic trees. These criticisms were bolstered by the concept of a “biome,” which saw South Africa’s flora in terms of discrete, unique biotic communities. Australian trees were not part of these regional biotic communities and, when taken to its ecological logic, people argued that they should be eradicated. The ending of Apartheid in 1994 helped fuel one hundred years of criticism against Australian trees. The opening up of South Africa to international tourists and finance has put a premium on protecting and marketing the uniqueness of the country’s flora and fauna. With booming tourism in the Cape and Kruger National Park as a result of the end of Apartheid and the recent World Cup, there is a powerful movement to use South Africa’s native plants to lure foreigners. It seems unlikely that tourism alone will provide the jobs required to lower the nation’s high unemployment rate. New sources of wealth are required to raise the standard of living. But South Africa’s current environmental regulations emphasize the conservation of water and the protection of indigenous flora at the expense of the expansion of plantations of trees. The issue today is not how to grow Australian trees, but whether or not the government or society will allow them to be grown. Even with eighty years of research, there is no clear consensus on the environmental or economic impact of Australian trees. Ecologists and environmentalists tend to study the impact of Australian trees, whereas foresters focus on how to grow and utilize them. This leads to two distinct bodies of scientific literature that often conflict. Rather than blanket policies, nuanced site and species analysis is required, but rarely is such a rigorous, balanced analysis pursued or discussed. Far too often, soundbites and polemics dominate popular discussions about Australian trees. Because of conflicting cultural, scientific, and political values, the planting of Australian trees has stalled, and many seek to eradicate them entirely from the landscape. The belief that there is a “good” South African flora and a “bad” non-South African flora blends both white nationalism and African nationalism, two often aggressive and problematic ideologies. Just as white settlers linked South Africa’s plants and animals with the dominance of white rule, the implicit and explicit underlying racial tones of black African nationalism’s defense of native flora worry many of the diverse non-African people living in the country. There is no scientific silver bullet to answer the question of whether or not Australian trees should be allowed to grow in South Africa. This difficult question requires a larger historical context that has been lacking from most discussions. We must first acknowledge the tangled, controversial history of nationalism and nature – both before and after 1994 governments – before moving forward on any policy. If history provides a guide, the debate will be contested, but balance, not polemics and extremes, should be sought.